Marx's critique of political economy is vital for understanding the crisis of contemporary capitalism. Yet the nature of its relevance and some of its key tenets remain poorly understood. 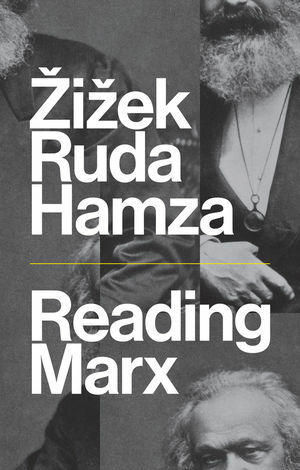 This bold intervention brings together the work of leading Marx scholars Slavoj iek, Frank Ruda and Agon Hamza, to offer a fresh, radical reinterpretation of Marxism that explains the failures of neoliberalism and lays the foundations for a new emancipatory politics. Avoiding trite comparisons between Marx's worldview and our current political scene, the authors show that the current relevance and value of Marx's thought can better be explained by placing his key ideas in dialogue with those that have attempted to replace them. Reading Marx through Hegel and Lacan, particle physics, and modern political trends, the authors provide new ways to explain the crisis in contemporary capitalism and resist fundamentalism in all its forms. Reading Marx will find a wide audience amongst activists and scholars. Slavoj iek is Professor at the Institute of Sociology, Ljubljana, Slovenia. Frank Ruda is Senior Lecturer in Philosophy at the University of Dundee. Agon Hamza holds a PhD in philosophy and is currently a researcher at ISSH in Tirana.